Order finished! It was the navy and buff linen coat and breeches, with domed pewter buttons. The fabric was really striking, and they looked real nice. I took pictures to share- but accidentally deleted them. Ugh. So there are no pictures of the beautiful coat and breeches. Other than that sewing, I have on my work table a continual pile of baby clothes which are more for fun than necessary. I fiddle around with them when I have a baby-free minute. 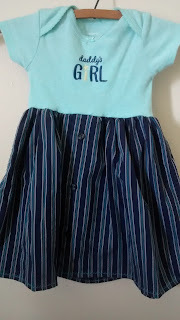 Also, Baby M's first costume is ready and waiting. 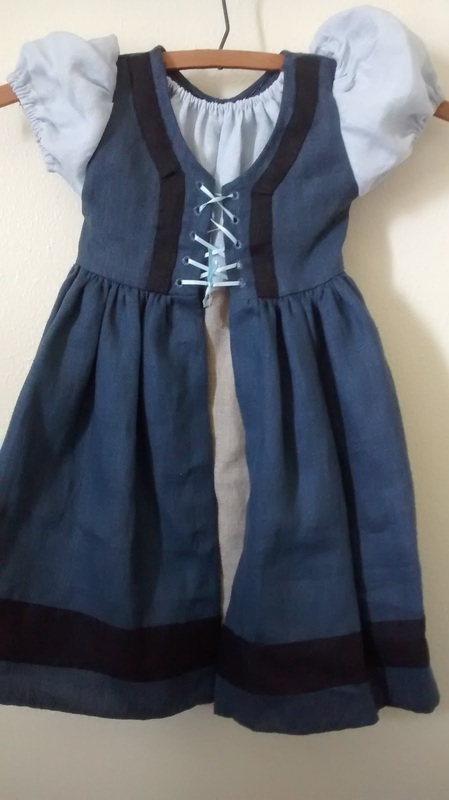 Made from linen scraps, it's not historically accurate with elastic at the neckline and a faux shift underneath, but it is linen with mostly hand sewing. And I think she'll be cute.